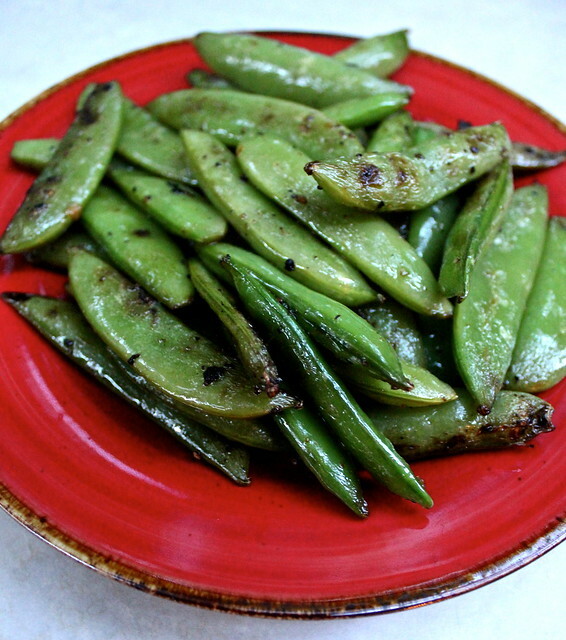 Sugar snap peas are one of my favorite vegetables. I eat them raw with hummus, or just on their own. I realized I never cooked with them and started experimenting. I found that I love them in stir fries, but my favorite method is simply grilling them. This is hardly a recipe, but I tossed the sugar snaps with a little olive oil, salt, pepper, garlic powder, and cayenne pepper. Use whatever seasonings you have on hand. Then just grill them using a grill basket. You can’t screw them up. By the way, if you don’t have a grilling basket you are missing out. I use mine all the time. I think I bought it at Bed, Bath & Beyond for under $10. A great deal. I may need to get another one soon because I always leave it outside to cool and inevitably forget about it out there. I am surprised I haven’t “lost” it yet. I would recommend buying the stringless variety of sugar snap peas. I have made the mistake of not doing that before and regretted it. They are certainly edible, but annoying. You could take the time to de-string all of them but that is about as annoying. Just let someone else do the work for you. Preheat the grill over medium heat. Spray a grill basket with cooking spray. In a large bowl toss the snap peas with the olive oil and seasoning. Try one raw and adjust seasoning to preference. Place the grill basket on the grill grate, pour the snap peas into the basket. 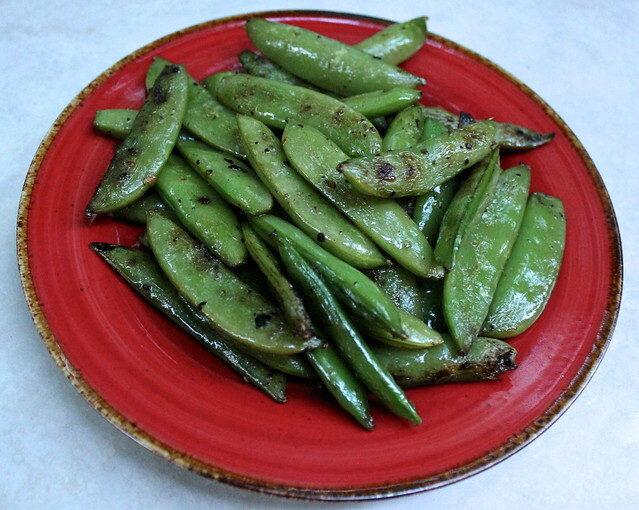 Grill, stirring occasionally, until grill marks appear and the snap peas are crisp tender, 15 – 20 minutes.